The Logitech Revue hasn’t exactly had a stellar year since it debuted last holiday season. Admittedly, says CEO Guerrino De Luca, the product launched with what amounted to beta-level Google TV software — meaning customers would’ve been coughing up $300 for what was a fairly unfinished product. This was the essence of what De Luca said at yesterday’s Analyst and Investor Day at Logitech. The CEO acknowledged that the company jumped in head first with the grand vision of Google TV, believing it would revolutionize the television market. And so it fully committed to a widescale launch — which was a “gigantic” mistake that “cost us dearly” (to the tune of $100M+). 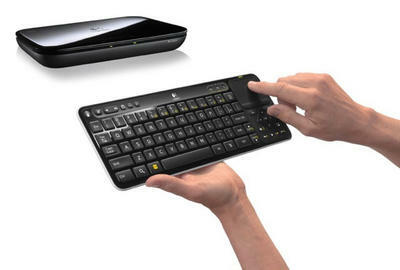 Now, nearly a year later, it looks like Logitech is making a major course-correction to bring “closure to the Logitech Revue saga.” In other words, the company is ending the product line right where it stands, with no new hardware version in the pipeline. Once the inventory runs out, that will be that. That’s not to say that De Luca thinks Google TV is a complete dead end. Although Logitech might feel somewhat burned by this experience, the exec acknowledges there’s potential for it — down the road. Like, say, a future iteration of the set top box… perhaps version 3 or 4… which would be built by someone else. Should all that come to pass, with demonstrable shows of success later on, Logitech could even reconsider resuming this relationship at that time. It’s just not going to happen before then. For now, given all the hoopla surrounding some new version of Apple TV — plans for which Steve Jobs supposedly “nailed” before he passed away — it wouldn’t be all that surprising to see Google put more focus back on this market. But although Google TV has (finally) gotten app support, seeing partners like Logitech throw their arms up might hinder its progress. Add the fact that Sony — another big GTV partner — is pursuing its own platform, and that Adobe is backing Flash off the TV environment, and progress here could be a tough proposition. What’s your take on Google TV? Are you a Logitech Revue user who’s upset about the product line ending? What do you think it will take to make the platform fly and entice partners to return? Or should the company ditch this effort altogether and just focus on its mobile/desktop/cloud/maps/social networking/other areas?